In 2012, Marks and Spencer (M&S) rebranded themselves to target a younger consumer market. This was accomlished by creating a modern and stylish aesthetic with a focus on trend driven merchandise. M&S has also experienced tremendous growth in the last year, not only domestically but internationally as well. Because of this, we have decided to test out the American market by creating a pop-up shop in Miami, Florida. This will test both the new, younger tarket market and the American market as a whole. The pop-up shop will be located in Brickell City Centre. It will be open for six months from September 2015 to May 2016. M&S currently utilizes numerous forms of media, particularly print, digital media, social media, event, and customer relations. For print, they have advertisements in various successful magazine with a wide consumer base. For digital media, they create many videos for both YouTube and television. They also have live video chats for their consumers to ask questions and connect with the brand. For social media, they have accounts on Facebook, Twitter, Instagram, Pinterest, and YouTube. For events, they hold numerous events within their stores, many of which give back to the community. For customer relations, they recently launched a new Loyalty Club for consumers to join and gain V.I.P access to the company and its offerings. In the U.S., there are several department store chains that compete directly with M&S. These department stores have multiple brick-and-mortar locations throughout the country, a developed e-commerce platform, a large product assortment, and varying price levels. The two U.S. department stores that are the most similar to M&S in terms of price, product assortment, and number of stores are Macy’s and Dillard’s. However, M&S has three main advantages over the competition. One, the product assortment of M&S is extremely large, both horizontally and vertically. M&S not only offers a large assortment of womenswear, menswear, childrenswear, footwear, accessories, and home furnishings/decor like other department stores, M&S also has a well-developed food and wine selection. In other words, M&S is a large fashion department store, large home department store, and large grocery store all-in-one. The second advantage is M&S has a presence in the U.K., Europe, the Middle East, and Asia. M&S has experience much international success and plan to continue expanding. 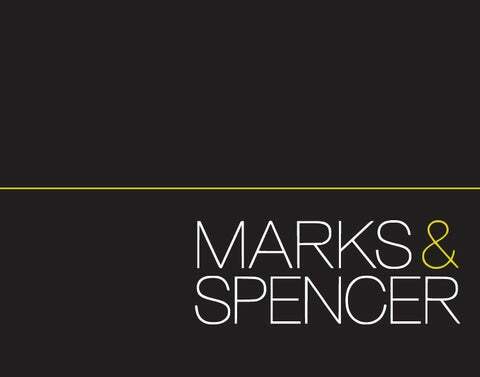 Due to their number of locations around the world, M&S is an internationally recognized brand. This will come into play when expanding to the U.S. because many consumers in the U.S. are not native to the country. The third advantage is M&S’s pricing. The retailer’s prices fall into the medium range - neither extremely cheap nor highly expensive. Most department stores in the U.S. are either low-end/mass or high-end/premium. These three advantages place M&S in an underserved area on the U.S. department store’s price/ distribution matrix. Little brand awareness in countries not already present; Average consumer is older than new target market. Large distribution with international locations in Europe, Asia, and the Middle East; Committed to journey towards sustainability. Consumers choosing to shop at specialized store instead of department stores. In previous years, the average M&S consumer has been about 40 to 60 years old. This is because M&S has such a strong brand identity and is known for outstanding quality. These two things appeal greatly to this consumer segment because they generally desire products that will last a long time and are less concerned with visual athetics. Starting in 2012, M&S has begun to rebrand itself towards the younger consumer. Along with our focus on outstanding quality, M&S is now focusing on visual aesthetics as well. As a brand, M&S is becoming more sleek and modern. The products offered have also become more edgy and trendy. Because of this shift towards a younger consumer, we have decided to focus our 2015 pop-up shop on the younger consumer. M&Sâ&#x20AC;&#x2122;s plans to grow itâ&#x20AC;&#x2122;s presence in existing markets and also create new ones this year. We plan to focus on broadening our presense over seas, to America. We believe this is a chance for growth based off of how well our other international brick and mortar locations have been doing this past year. We will test the American market with a pop-up shop in Miami, Florida. Department stores use to be the place to shop and socialize. Unfortunately, foot traffic, sales, and luster has declined over the years. Foot traffic has been the most significant loss because many, if not all, department stores participate in online retailing, which accounts for most of their sales. One of the factors behind the downfall of department stores is fierce competition. Competitors of department stores are specialty retailer, discount retailers, and e-commerce. Arguably, e-commerce is the biggest competitor of the three because it offers a wide array of products at a wide price range, which is the basis of department stores. Also, with the creation of mobile shopping consumers can now shop anywhere, anytime. To combat the losses, department stores are repositioning themselves, and by doing so, revolutionizing department stores in general. Many techniques are being employed, including localization, incorporation of technology, renovating flagship stores, and evolving the retailer into a culture icon of its location. Due to revolutionizing of department stores, sales, foot traffic, and luster are slowly increasing. The future of department stores looks bright. It is expected that department stores will expand by 22 percent by 2019, which is equivalent to about 450 billion dollars However, it will take much time and effort to bring department stores back to the forefront of retailing. Certificate of Use (Zoning Permit) is required, to ensure allowance to operate within its zoning district; Local Business Tax Receipt. Brickell Centre is known as the Wall Street of Miami; Miami International Airport; Many high-priced tolls. eMerge Amercia; Miami is soon to be known for inoovative technology. SOCIAL Increasing desire to interact with technology in store; Desire for convenient parking while shopping; Multiple languages spoken; Changing population and continual growth; International influences. Hurricanes that could possibly affect business and revenue. Minimum wage is $7.25 an hour; Overtime pay is required; Florida At-Will Employment; Florida Right to Work; The Fair Labor Standards Act (FLSA); Family Medical Leave Act (FMLA); Occupational Safety and Health Act (OSHA). All of M&Sâ&#x20AC;&#x2122;s U.S. competitors are located either in or near Miami, Florida, except for Belk and Bon-Ton which do not have any brick-and-mortar locations in Florida. Most of the competitors are located outside of Miami because the cost to do business in the city is high, especially when a large area of retail space is required for an indefinite length of time. However, Miami has multiple, highpriced tolls scattered throughout and around Miami causing travelers to spend hundreds of dollars a month on tolls. This causes some people to avoid traveling far distances via car as much as possible. Overall, competition in the Miami area is low. Since the M&S Miami pop-up shop is temporary, the price to do business in Miami will not be as a high as other permanent retailers in the area. Another positive of being located in Miami is the elimination of many of the high-priced tolls, enticing people to shop at M&S rather than another retailer that is surrounded by tolls. Also, the more money consumers save, the more money they can spend at M&S Miami. M&S will have several indirect competitors while in Miami. Our main indirect competitors will be the other shopping locations that will be inside Brickell City Centre. Also, there are many resuraunts nearby. Since produce is a large part of our product assortment, we will have to be aware of not only the resuraunt in the area, but also grocery stores and other produce retailers. Whole Foods will be our biggest produce competitor as they offer similar products. We will also need to be aware of retail locations that sell furniture, such as Ikea which will be our biggest competitor in this arena. We will also need to consider how the average Americans spend their disposable income. One of our biggest competitors when it comes to this is entertainment. 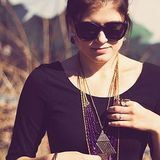 The average American spends about 4.49 percent of his or her income on entertainment and only 2.99 percent on apparel. This means that we not only have to be aware of the entertainment competitors in our area, but also provide our consumer with entertainment within our store. 3M Sq Ft Comprising artfully integrated office, retail, residential, and hotel. Brickell CityCentre is destined to be the prime focal point for this increasingly prosperous residential and business district. Miami is a city located on the Atlantic coast in southeastern Florida in Miami-Dade County. It is the 42nd most populated city in the U.S. with a current population of 419,777. It is the most populous metropolis in the Southeastern United States after Washington D.C. According to the U.S. Census Bureau, Miami’s metro area is the eighth most populous and fourth-largest urban area in the United States, with a population of around 5.5 million. Brickell is in the heart of the financial district comprised of nearly 80,000 residents and 222,000 pedestrains daily. It is quickly becoming Miami’s new hot spot. Perfectly poised to enable retailers to reach affluent residents and visitors, Brickell City Centre will be a welcome addition to an underserved area that is increasing in appeal thanks to the rapid growth, prosperity and density of its local and visitor population. Careful attention to transport linkages means the project can also be easily accessed from other areas of Miami, placing all of Miami’s affluent neighborhoods within convenient reach of the retail center and all that Brickell City Centre offers. Since Brickell is a newly developed area, residents of Brickell are innovators. They are always after the newest and greatest thing, whether that be a new smart watch or a new organic fresh market in Miami. Our target market of ages 25 to 45 also have a yearly income of about $49,015.00. This allows them to have a large disposable income to be able to spend on the newest products and services. Within M&S Miami, we will have digital touch screen displays where consumers can view our wide assortment of products and even order merchandise for delivery to their doorstep. This will attract the innovative consumer living in Brickell. Downtown Miami pulsates with activity as commercial, cultural and leisure pursuits come together in the fastest growing area in Miami. Innovative skyscrapers line the sky and make up Miami’s iconic skyline. Historic shopping arcades and storefronts packed with merchandise evoke Miami’s origins as a trading town. The department stores and emporiums of the area offer big city shopping with a cosmopolitan flair, while the area’s diversity inspires dining delights in a variety of culinary styles. And of course, there are the amazing views from everywhere in Downtown. Downtown Miami’s collection of skyscrapers shares a view of Biscayne Bay that’s worth a million bucks. Ride the free elevated Metromover through Downtown and stop off at Bayside Marketplace for lunch and shopping. Make time to visit one of the Downtown museums such as History Miami or the Miami Art Museum. The Downtown Miami Area is made up of several parts; the Brickell area, an international banking hub as well as a metropolitan residential community of tall buildings, hip bars and restaurants, and an internationally diverse group of residents; Omni, a blend of residential, commercial and hotels including the magnificent Adrienne Arsht Center for the Performing Arts; Park West, the Bicentennial Park area; and the Miami Jewelry District. Most of M&Sâ&#x20AC;&#x2122; future competition lies in the incoming retailers that will take up space in Brickell City Centre. The shopping center alone is 565,000 square feet allowing other department stores to take up just as much space. Nearby popular shopping plazas such as Mary Brickell Village propose a smaller threat in terms of product offering and experience. Mary Brickell Village is mostly comprised of locally owned-boutiques and restaurants on a much smaller scale. The M&S team is striving to make our hiring process for both the employers and future employees a fun one. We plan to post our job listings on our M&S Miami Facebook page along with boosted notifications about our recruiting event that will be held in our store. Applicants will send their resumes, a cover letter and reasons of why they would like to work for M&S Miami to our hiring team. 75 of the applicants will be asked to come for aninterview. The applicants will then be narrowed down to 50 and selected to work a total of six months with promise of a future position if we meet our goals. Those selected will receive goodie bags with promotional materials, start date information, expectations on how to dress, performance standards and goals needed to be met. We value everyoneâ&#x20AC;&#x2122;s opinions. Our new employees will have a part in every aspect of the operations process from store layout to visual merchandising changes and fluidity. Out of the 50, three will be selected for the management team (salary positions): a store manager, a co-manager and a sales lead. Within the city of Miami, the average store manager makes anywhere from $37k to $45k per year; the average co-manager makes a median annual income of $32k; and the average sales lead makes $28k to $30k annually. Two visual merchandisers, one for interior design and another for fashion will be selected to manage their given categories. Visual merchandisers in the city of Miami generally make $55k per year. The remaining 45 employees will be split into part-time employees averaging from $9.50 to $11.00 per hour depending on experience. One thing that will have to be taken into consideration is the salaries of our management and visual merchandising team, essentially being cut in half due to the six month time period. We will not be providing health benefits or insurance for our pop-up shop employees simply due to the short amount of time it will be provided and the long amount of time it will take for the logistics to be processed. L O G I S T I C S & I N F R A S T RU C T U R E Our M&S Miami location will be housed within the infrastructure of Brickell City Centre, a new development coming to the financial district, owned and developed by Swire Property Group. The center will provide us with a 10,000 square foot space with the option to make adjustements in structure within certain guidelines and with their approval. The center also provides our consumers with an underground parking garage capable of containing nearly 3,000 vechicles at any given time. There is also the option of valet for a slightly higher price. In regards to transportation, Downtown Miami is the strategic location for rapid transportation. Thousands of people beat daily traffic utilizing the elevated transit systems â&#x20AC;&#x201C; Metrorail and Metromover. There is direct, quick access to the Interstate I-95 and I-395 highways. Port Miami is directly adjacent to Downtown Miami and Miami International Airport is just 20 minutes away by car or rail. Capital improvement projects including streetscape redesign, wayfinding signage, and bicycle and pedestrian enhancements make Downtown even easier and safer to navigate. Downtown Miami ranks amongst the top ten places in the U.S. for walkability. The recent addition of the Miami Trolley - a free and frequent local circulator - provides convenient stops on every block. Car sharing systems have taken Downtown Miami by storm with many young residents and professionals enjoying the freedom of being car-less and embracing the new way of getting around with cars that can be rented by the minute. In regards to the legal issues we might face, licensing, permits and shop drawing approvals are our biggest concerns. Each business or individual regulated by the Department of Regulatory and Economic Resources must submit a completed application, pay the required license, registration, or permit fees, and provide the applicable supporting documentation in order to obtain a license, registration, or permit to engage in the type of occupation or business applied for. Should we need any contracting work completed or building trades, an inspection is required prior to covering up any part of the construction and our plans and permit must be at the construction site and the address properly posted and visible from the street. Inside the pop-up shop we have decided to use an elevator, not only for convenience but to take advantage of profit available per square foot. Permits are required by the state to implement an elevator, alteration and repairs must be performed regularly to ensure the safety of our shoppers and we will need a certification of operation in order to begin. All permits, licensing and trades are additional costs that we need to take into consideration when executing our budget. Although the fees are miniscule in comparison to all other costs, the fees add up quickly. At M&S Miami it is all in the details from our reflective black floors to the chandeliers on the ceiling and the crown molding on the walls. Our key values focus on in-store experience, quality customer service and a unique style selection in the departments of men’s, women’s, produce and furniture. Our pop-up shop, housed in Brickell City Centre, will be opening in the heart of the financial district in Miami, Florida. M&S Miami has been localized to suit our Miami shoppers and their lifestyle yet still portray our British heritage. When entering the store our shoppers are greeted by our large holiday display with colorful fiberglass mannequins and oversized gift boxes. The bottom floor accommodates men, women, beauty shoes and accessories. When taking the elevator to our second floor the departments of furniture and produce are partitioned by a frosted glass wall, dividing the space yet allowing a feeling of openness. Our location in Brickell City Centre allowed us to push our limits and add on to the space by including an outdoor café and lounge. The cafe is comprised of six cocktail tables, 12 bar stools, a full kitchen and grill with an in-house chef and a seating area with a fire pit. Our menu features refreshments, cocktails and tapas style food for brunch and dinner with ingredients directly from our produce section. This allows our consumers to try before they purchase any unfamiliar British delights. Overall we want our customers to feel a sense of excitement and newness while shopping with M&S Miami. The first floor layout is categorized by departments: men, women, accessories and beauty. We have intentionally created a grid layout to mimic their traditional department store in the U.K. As stated by law, we have allotted at least three feet between each fixture and display case to allow for an easy flow of traffic and the use of wheelchairs. In the center at the front entrance we have strategically placed our holiday display to create that â&#x20AC;&#x153;wowâ&#x20AC;? factor as our consumers step foot into our M&S pop-up shop. Behind our large display is the checkout counter where two representatives will be glad to assist our shoppers with any needs as well as checkout. During this peak holiday season our representatives will be offering gift wrapping options to make our customers experience that much more enjoyable and convenient. Our consumers then reach our second floor through the access of an elevator, skinned in our British heritage, and arrive in the staged furniture section. This area is comprised of a mock bedroom space with a small office and a large living room area where guests are encouraged to congregate and try out the furniture. To the right of the furniture category, separated by a frosted glass partition, is the grocery store with a select offering of frozen food, small meals and snacks. Once guests are finished purchasing their items they can walk to the checkout desk, have their desired items bagged and purchase them through an iPad. Our use of iPads in the store allows for efficiency and adds another technological element to the shopperâ&#x20AC;&#x2122;s experience. Last but not certainly not least, our outdoor lounge and cafe, located on our top floor balcony, was built for the ultimate leisure experience. With glass walls, the sunlight illuminates the entire space and gives a 180 degree view of Downtown Miami while dining. The outdoor kitchen is occupied by our M&S professional chef who cooks a variation of 10 tapas style plates from our menu. The menu consists of food and ingredients located directly in our grocery store, encouraging our customers to try before they buy. In order to provide an asethetically pleasing environment for our shoppers, we have factored in the costs for staging of furniture, lighting, music, holiday displays, customer service and our lounge/cafe area. In regards to our interior cost within the first level of our 10,000 square foot space we have estimated nearly $30,000.00. For the second level costs we will allocate a total of $34,873.00 diving this amount into our staged living area, bedroom, grocery store and outdoor eating area. In order to create brand awareness and generate buzz within the comminity of Brickell we must take those risks in cost to instill a positive impact. Everything from the flooring to the lighting, scents and music have been thought out in order to execute a proper pop-up shop and grand opening. M&S is known for its extremely large product assortment. At M&S Miami, we wanted to test each product category in the market, and introduce Miami shoppers as much of M&S’s offerings as possible. The M&S Miami store will offer every product category already offered by M&S home, produce, beauty, menswear, and womenswear. During the holiday season, the product category fo Christmas will be added. However, due to size limitations, the offerings of each product category will be limited. The product categories with the most offerings will be women’s, men’s and produce. The promotion for the six month M&S Miami shop will be a year-long endeavor, starting in May 2015 and ending in April 2016. Pre-launch promotion will occur four month before the opening (May to August 2015), and post-launch promotion will last for two months after closing (March to April 2016). The length of pre-launch will be longer than post-launch because M&S is a foreign retailer, and many Miami residents may not be familiar with the U.K. department store. To help increase the awareness of both M&S and M&S Miami, a variety of media outlets will be used. The five media types are: traditional, social media, out-of-home, partnerships, and event. For each of the three division of the promotion plan, a unique tagline will be used. Each tagline will used throughout all used media. The three taglines that will be used are “The British are coming” (pre-launch), “The British have arrived” (during), and “Cheerio Miami” (post-launch). The taglines play upon the retailer’s British culture. PRE-LAUNCH TRADITIONAL MEDIA Radio Radio is an easy and cost-effective way of marketing. Many Miami residents drive, especially if they live outside the city, and often when they drive they have the radio on. M&S Miami will be marketed on the radio through thirty second commercials. The two radio stations that will be used are Y-100 and Power 96, two popular radio stations in Miami. The radio commercials will be informative, especially during pre-launch, because M&S is new to not only Miami, but the United States. Along with basic information, the listener will be told to visit the landing page and follow M&S Miami on social media for further information. Both the commercials and the radio DJs will use the pre-launch slogan. Landing Page M&S Miami will have a landing page that will hold all information (location, dates, times, contact). Specifically during the prelaunch, images of the site and the merchandise will be shown on the website, as well as videos from M&S Miami’s YouTube channel. This will make people feel involved in the creation of M&S Miami. The landing page will connect the M&S’s e-commerce page, and vice versa. No slogan will be used on the landing page to save time and money. Commercials Commercials are an expensive, but highly effective way to contact the audiences. Since M&S is a department store, it has a wide range of customers, and commercials is a way to garner the attention of many different people. Like the other pre-launch marketing, the commercials will be informative and fun, playing upon the British theme. The commercials will grab the viewer’s attention, and stay with him or her long afterwards. Magazine Print advertisements in magazines is the bases of many pop-up shop’s promotion plans. Full-page, color advertisements will be in three popular, local magazines in Miami Venue Magazine (Brickell Centre’s magazine), Ocean Drive Magazine, and Miami Living Magazine. Each magazine targets different areas of Miami, and discusses a wide array of topics from food to fashion to interior design. These advertisements will be beautiful, like M&S. The image will utilize the British heritage of the company in such a manner as previous M&S magazines advertisements. The retailer’s past advertisements featured famous, respected British citizens. The M&S Miami advertisement will also have the date of opening, location, the landing page URL, and the pre-launch slogan. Billboard Along two major highways, Palmetto Expressway and Dolphin Expressway, billboards promoting M&S Miami will placed. Many of Miami’s highways experience bumper-to-bumper traffic. While travelers are stuck in traffic, they will see the billboard and be interested in visiting M&S Miami. A billboard will also be placed in the metromover station by Brickell Centre. The metromover is another popular form of transportation in Miami. By placing a billboard at Brickell Centre’s metromover station, M&S Miami will specifically be targeting people who are currently in the area and/or often there. Like the pre-launch radio commercials, the pre-launch billboards will be informative. It dates of the pop-up shop and a call-to-action, the URL link to the landing page, which will hold more information. A image used will exploit M&S’s British heritage. The pre-launch slogan will be used as a focal point to catch passerby’s attention. SOCIAL MEDIA The purpose of social media is to include Miami residents in the creation of M&S Miami. This will encourage the blending of British and Miami culture, and in turn make M&S Miami a success. YouTube M&S Miami will have its own YouTube channel that will have videos about M&S, M&S Miami, and, specifically during the pre-launch, videos about the creation of the pop-up shop. Instagram M&S Miami will have its own Instagram account where daily images of the storeâ&#x20AC;&#x2122;s development will be posted. Any comments left on posts will be replied to. The pre-launch slogan will be used in hashtag form in posts. Twitter M&S Miami will have its own Twitter account. Information, Instagram images, and YouTube videos will be tweeted. Also, any tweets from Miami residents will be replied to. The pre-launch slogan will be used in hashtag form in tweets. Facebook All material shared YouTube, Instagram, and Twitter will shared through the M&S Miami Facebook page. The Facebook page will be a combination of social media and the landing page. It will have both information (location, dates, times, contact, etc.) and fun posts. Like other forms of social media, people can follow the M&S Miami Facebook page, and leave comments for the retailer which will be responded to. The Facebook page is where all social media platforms come together. Like the pre-launch radio commercials, the pre-launch billboards will be informative. It dates of the pop-up shop and a call-to-action, the URL link to the landing page, which will hold more information. A image used will exploit M&Sâ&#x20AC;&#x2122;s British heritage. The pre-launch slogan will only be used in status updates. OUT-OF-HOME Elevator The most creative of M&S Miami’s marketing will be its elevator advertisements. On elevators in three four to five star hotels (Hotel Beaux Arts, Viceroy Miami Hotel, and Holiday Inn Port of Miami-Downtown) and three middle to upper class apartments (Brickell City Centre Tower Apartments, One Plaza Apartments, and Camden Brickell Apartments), a sticker will be placed on the door and on the inside, back wall. On the outside door, the sticker will read “The British are coming”. On the inside, back wall, the sticker state “M&S Miami” and information about it. All traditional marketing will remain the same, but the slogan will change to “The British have arrived”. SOCIAL MEDIA YouTube While the pop-up store is open, videos of events occurring at the store (launch party, holiday shopping) and people shopping will be posted. Instagram Photographs of events and people shopping at the store will be posted. Also, a hashtag competition will take place on Instagram during the launch party. People who Instagram a picture of launch party with the hashtag “M&SMiami”, and show it at the register when purchasing an item(s), will receive a 25 percent discount. However, the 25 percent discount will only apply to one item. This will motivate people to attend the launch party and purchase merchandise. The slogan, “the British have arrived”, will be used in hashtag form. Twitter The function of the M&S Miami Twitter account will remain the same. The slogan, “The British have arrived”, will be used in hashtag form. Facebook The function of the M&S Miami Facebook page will remain the same. The slogan used in updates will change to “The British have arrived”. OUT-OF-HOME Elevator The elevator advertisements will update to the door sticker to say “The British have arrived”, and the inside, back wall sticker will remove the opening date of the pop-up store. PARTNERSHIPS Bloggers Influential bloggers in the Miami area will be invited to the launch party of M&S Miami. To encourage them to attend and make a purchase, 150 dollar gift cards will be given to them. Hopefully, they will continue to write about M&S Miami after the launch party. Instagramers Popular Instagramers in Miami will be invited to the launch party as well. They too will be given 150 dollar gift cards. Hopefully these Instagramers will return to the store to shop and post more images with the hashtag “M&S Miami”. Journalists Miami journalists will be invited to the launch party. They will be given a 150 dollar gift card. Hopefully, due to the success of the store, journalists will continue to write articles about M&S Miami after the launch party. The launch party will be the most expensive part of the promotion plan. This is because the launch party must create newsworthy buzz, and attract large amounts of people. The very popular DJ, Sasha, will play his trance music. On one of the marble counters in the upstairs cafe area, various audevers, delicious champagne, and water bottles from M&Sâ&#x20AC;&#x2122;s food and drink selection will be served. The maximum amount of people the pop-up store can comfortably hold is 1,000. To control the large number of people entering the store, a security guard will be hired for the night. Overall, the launch party will be a lavish blend of British and Miami culture. The grand launch party of M&S Miami will be talked about for days afterwards. Social media will be the only platform used by M&S after the closing of the store. Hopefully journalists and bloggers will write about M&S Miami and its closing, but it isnot in the retailer’s control. All four social media platforms will be used. They will used in a retrospective manner; looking back at the store’s six months. One is the M&S Miami YouTube channel, a goodbye video will be posted. The video will show past events, people shopping, and a personal message from M&S. Pictures of past events and people shopping at M&S Miami will be posted on the Instagram account with the hashtag “Cheerio Miami”. The Twitter account will tweet the Instagram and YouTube posts. There will also be a goodbye tweet. All posts made by the other three social media platforms will be posted on the Facebook page. All customer comments will continued to be replied to until the end of April 2016. M&S Miami initiative is to test the market within the heart of the finical district of Brickell, an untapped area of potential for retailers. The perfect place to do so is within the upcoming Brickell City Centre comprised of 575,000 square feet, a true mecca for Miami shoppers and the biggest thing to happen to Downtown Brickell. While localizing M&S to Miami, we fully intend to maintain our British heritage, execute high levels of customer service in order to peak interest, host events with famous musicians to generate buzz and increase volume in units and raise profits. Should we succeed we look towards the future in expanding to Miami and other locations within the United States.